SMS Transmission is the best for sending message to only one contact. Email Transmission can reuse the templates. The same template used for sending email to a large number of group, can be reused for sending mails to a single contact. 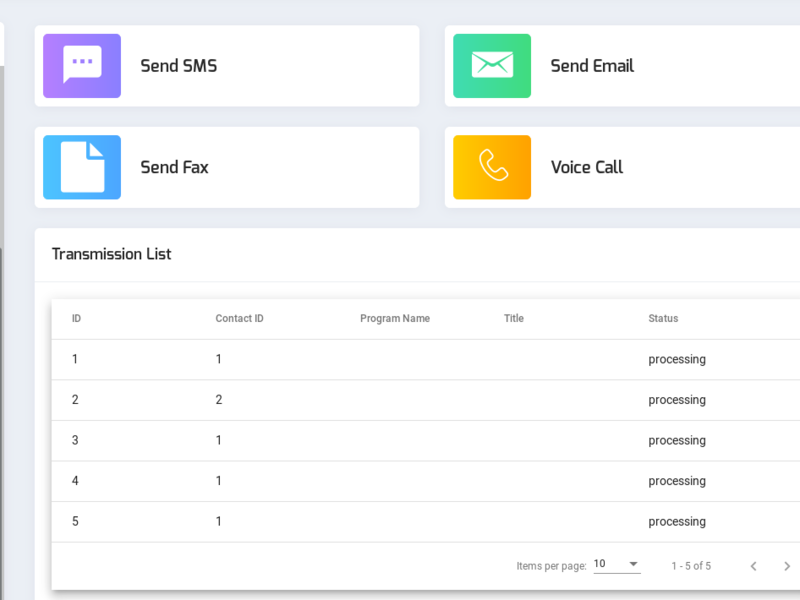 You can send a saved email template to a single contact with in seconds. A user can send fax to the only one contact using Fax Transmission easily. Voice transmission can send voice message to one contact only. Admin can add more than one account for accessing ICTDIALER. This can be done in a small number of steps. An Admin has access to add the extensions and he can configure the providers by filling up forms, which will probably take a few minutes. 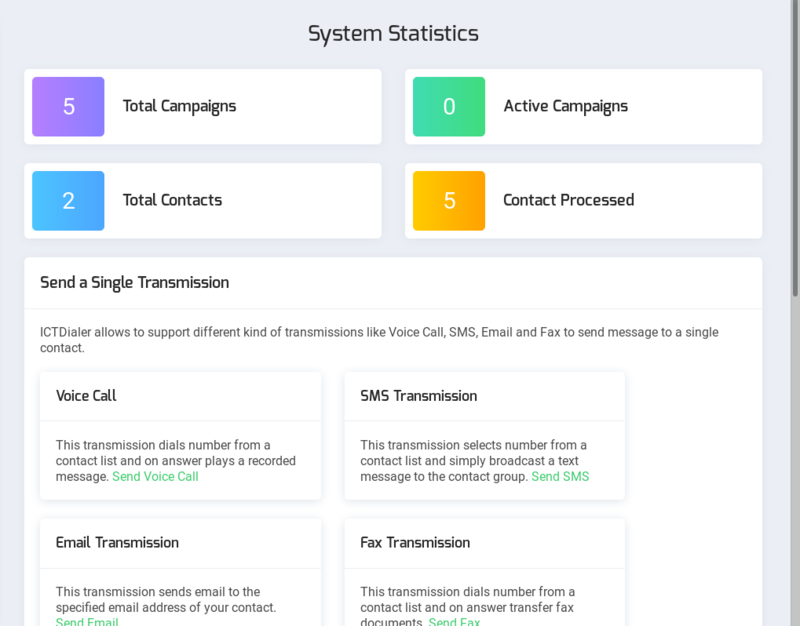 A user can add media i.e a Voice recordings, Email templates,Fax documents and SMS Messages, which he can use later in campaigns and transmissions.